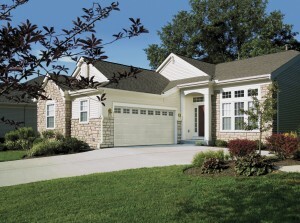 Turn to the experts at 31-W Insulation for your garage door replacement project in Pensacola, Florida. Since 1972, we have provided homeowners throughout the Southeast with top-tier home improvement services, including garage door installations. Our reputation for meticulous workmanship and stellar customer service is no accident. To ensure our exacting standards, our installations are performed by our factory-trained technicians, not subcontractors. What’s more, our doors are designed to meet Pensacola, FL, building codes for resistance to high winds. For added confidence in your purchase, our doors are backed by some of the best manufacturer warranties in the industry. For more information on all the replacement garage door options available to you in Pensacola, FL, contact 31-W Insulation today.